Attended by over 140 indie music publishers, members and friends of both organisations, the event proved as popular as ever as a ‘meet and greet’ networking event to kick start the busy calendar of business meetings during Midem. As one veteran indie music publisher put it “the hour or so I spent at the breakfast was one on the most productive meetings I had there. Seeing so many other independent publishers that I work with in one spot was great as we only needed a few minutes of each other’s time to catch up to talk or set up a meeting”. IMPF and AIMP will sign a wideranging Memorandum of Understanding to afford a closer alliance between the two leading indie publishing associations internationally. IMPF represents small and medium sized independent music publishing companies worldwide and serves as a network and meeting place for indies. Its main objectives are to share experiences and best practices in music publishing; exchange information on the legal framework and music publishing environment; coordinate actions and support projects relevant to composers and music publishers; represent the interests of the independent music publishing community globally; and stimulate a favorable environment for artistic, cultural, linguistic and commercial diversity. IMPF along with 66 other organisations in the cultural sector in Europe signed a letter to the Commission asking for an increased budget for culture in the European Union. The Commission is currently preparing its proposal for the next MFF, 2021-2028 (multi-annual financial framework), which will be published on May 02. The new Board of 20 directors comprises big and small indies from around the world and endorses Pierre Mossiat for a third mandate as President. On March 7th 40+ music publishers, members of IMPF, and guests from Facebook, YouTube, PRS and CIAM met in London for the General Assembly. IMPF President Pierre Mossiat opened the meeting by reporting on the Forum’s achievements over the past 12 months. Speakers included the host of the event Robert Ashcroft, CEO of PRS for Music; Eddie Schwartz, President of CIAM; Victoria Campoamor, Head of International Music Publishing Partner Operations of YouTube/Google; Jake Wisely, Chief Publishing Executive of Concord Music; Annette Barrett, MD of Reservoir/Reverb; Teresa Alfonso, CEO of TeddySounds. Various speakers commented on how our creative sector is a major contributor to the world economy and culture, with indie music publishers having a long tradition of promoting cultural diversity and who are committed to upholding the rights of composers to create and be rewarded fairly for their work. A new Board of Directors for the term of 2018 - 2020 was elected at the meeting; Simon Platz - Bucks Music Group Ltd. (UK); Annette Barrett – Reservoir/Reverb Music (UK); Julio Guiu Marquina - Ediciones Musicales Clipper’s, SL (ES); Niclass Bjorlund - Edition Bjorlund AB (SE); Halit Uman - Halit Music (FR); Maria Romana Francesca Trainini - Oyez! SRL (IT); Rolf Budde - Budde Music Publishing (DE); Rob Guthrie - (US); Pierre Mossiat - Strictly Confidential Music Publishing (Benelux); Filippo Sugar - Sugarmusic (IT); Teresa Alfonso - Teddy Sound SL (ES); Jake Wisely – Concord Music (US); Ichi Asatsuma – FujiPacific (JP); Justin Kalifowitz - Downtown Music Publishing (US); Ian James – Mushroom Music Publishing (AU); Teri Nelson Carpenter – Reel Muzik Werks (US); Paulina Golba – Golba Music (PL); David Alexander – Sheer Publishing Africa (ZA); Thomas Jamois – Velvetica Music Publishing (FR); Andrei Filip - K9 Music Publishing (ROU). The Independent Music Publishers Forum (IMPF), a grouping of 65 indie music publishers from around the world, held its annual General Assembly in London on March 07. A new Board of Directors for the term of 2018 - 2020 was elected at the meeting. "We represent Europe’s authors, creators, music publishers and producers, broadcasting organisations, TV producers, film distributors, photo agencies and press publishers - all of which are at the heart of the creative sectors fuelling the European digital economy. The European Parliament’s LIBE committee will soon vote on its Opinion on the Copyright Directive’s Article 13 and Recitals 37-39. These provisions address the Value Gap/Transfer of Value for copyright protected content online – an issue of profound importance for our sectors. " Thank you for giving your time so generously to meet with our colleague,, Gusztav Stiedl,, Managing Director of Schubert Music Publishing Hungary.. Your input and insights were greatly appreciated.. We remain open to further discussions regarding these issues and f ully welcome your suggestions and engagement.. Mr.. Stiedl is available in Budapest and we are available in Brussels at any convenient time.. As we understand that many of these issues will be discussed at the upcoming IP Working Group of November 6 and 7,, we would be grateful if you,, or your colleagues,, participating on behalf of the Hungarian Government could keep in mind our particular viewpoint..
At a meeting of some 60 music publishers and their guests held at the Harry Fox Agency in New York, there was a clear call for the return of the great era of publishing and songwriting, when songwriters and their songs were known by name..
IMPF submitted a letter in support of the Canadian Music Policy Coalition’s (CMPC) submission to the public consultation in Canada regarding the reform of its Copyright Board. The IMPF letter echoed the submission commenting on deadlines regarding proceedings, implementing best practises from tribunals elsewhere and the need for mandated guidance in setting tariff rates. With this letter IMPF wishes to fully support and echo the submission of the Canadian Music Policy Coalition (CMPC)’s to the Copyright Board Consultation dated September 29, 2017. As many copyright tribunals around the world have fixed deadlines for decisions, and some tribunals that are not subject to a prescribed timeframe are used only as a last resort; IMPF recommends that deadlines be imposed on Copyright Board decisions, requiring, for example, that tariffs be certified no more than 12 months after the end of a hearing; and an expedited approval process must be imposed for settled and unopposed tariffs, requiring that they be approved six months following their joint or unopposed submission to the Board. Such a requirement would have a positive impact on creative industries as reducing the time for decisions will reduce uncertainty by providing music creators, particularly the small independent SME, with income stability so that they can properly run their businesses. It is important that Canada looks to examples of other working domestic tribunals and that best practices on copyright from other jurisdictions be considered in developing a system that is appropriate for Canada, noting, in particular, that in many countries where IMPF has members, the copyright tribunal is seen as a last resort as the aim is to have creators and music users settle as much as they can amongst themselves. IMPF recommends that due consideration is given to the possibility of implementing the best practices of other tribunals in different jurisdictions, thereby placing Canadian creators on equal footing with their international counterparts. The only guiding criterion of general application for the Copyright Board in setting tariffs requires that royalties be “fair and equitable”. Canada is unique in its lack of guidance for its copyright tribunal. In the US, UK, Australia and New Zealand, the tribunals have mandated criteria to consider in setting tariff rates. IMPF recommends therefore well-defined and detailed guidance for the Copyright Board in setting tariff rates, as the introduction of such guidance would ensure that procedures are fair and the grounds for decisions are transparent. Cannes, 6 June 2017 – IMPF, representing independent music publishers internationally, is pleased to announce that Mr. ‘Ichi’ Asatsuma will join its' Board of Directors. As one of the most prominent and respected figures in Japanese music, and the indie industry internationally, Mr Asatsuma will strengthen the voice of the Forum and bring invaluable experience to the board, particularly in consolidating growth in the Asia Pacific region. Asatsuma will join the IMPF Board for the first time at MIDEM where some 120+ indie publishers, guests and friends will meet at the second annual indie music publishers networking breakfast, and where the Value Gap and Safe Harbour will be high on the agenda. "Maintaining a strong indie voice across the globe is of huge importance to independent music publishers in this ever changing and turbulent industry and having Ichi at the Board will be a tremendous addition." said Pierre Mossiat, President of IMPF. "The indie business model is at the core of music publishing and through strengthening our collective, the entire industry value chain will prosper", he added. 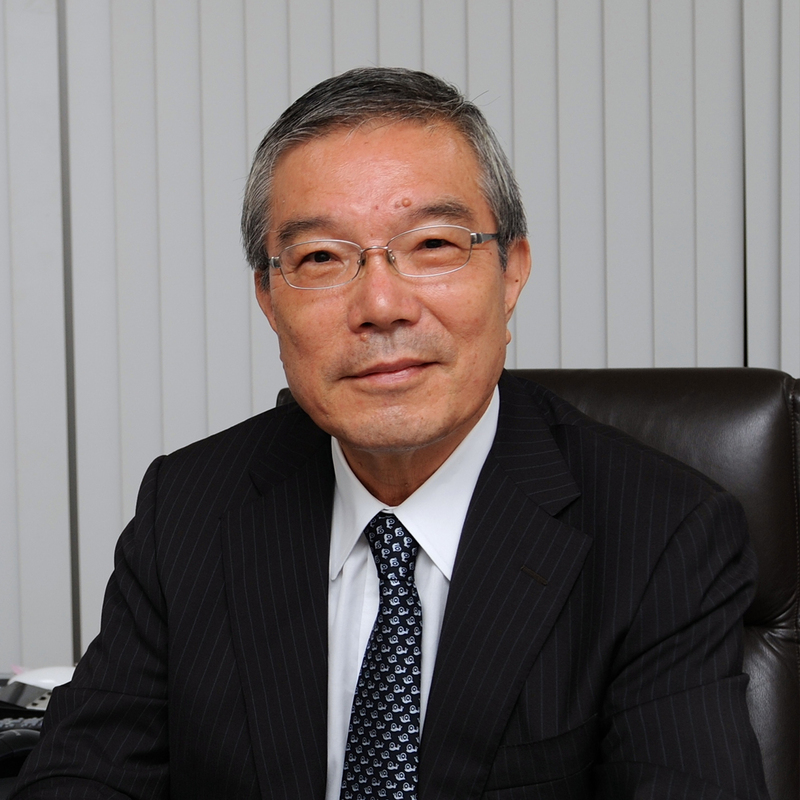 Ichi Asatsuma said "I am delighted to join the Board of IMPF. I have watched the Forum grow since its inception and look forward to working with the rest of my colleagues on the Board, to consolidate our efforts on the key global music publishing issues". Rolf Budde, Vice President of IMPF said "Ichi’s reputation in the global music publishing industry is outstanding, and we are honoured that he will join us in this dynamic network and meeting place for independent music publishers from around the world". About Ichiro Asatsuma - Ichi is chairman of Fujipacific Music Inc., one of the top Music Publishers in Japan, having joined the group in 1966 as one of its first employees. Ichi’s great love and knowledge of music allowed him to excel at his job and Ichi was quickly recognised as one of the key pioneers in the music publishing world. In 1985, Ichi became President of the newly-merged Fujipacific Music, a position he held until becoming the Chairman in 2005. Ichi has also served as a board member of JASRAC from 1986 to 2010 and was the chairman of Japan's Music Publishers Association (MPA) from 2004 to 2010. From 2007 to 2012 he was on the Board of ICMP and he currently serves as special adviser to the MPA Japan. The Association of Independent Music Publishers (AIMP) and the Independent Music Publishers Forum (IMPF) held their 2nd Annual Indie Music Publishers Breakfast today at The Grand Hotel at MIDEM 2017. After an unexpectedly large turnout at last year’s inaugural indie breakfast event, the organizations felt that the gathering struck a chord with attendees and that it must become an annual event. Michael Eames, President of AIMP, commented, “It is clear that there is a great need for independent publishers worldwide to gather and share their issues and concerns and how they can solve them together.” Pierre Mossiat, President of IMPF said , “Independent music publishers are at the heart of the music industry and yet are amongst the most vulnerable due in large part to the protection offered by safe harbour to what are some of the biggest companies in the world; safe harbour has in effect breached the moral and economic rights of our authors and composers”, he added. Today’s event attracted some 140 publishers, writers and guests who were welcomed in short speeches by Pierre Mossiat (IMPF President), Michael Eames (AIMP President), Rolf Budde (IMPF Vice President) and Teri Nelson Carpenter (AIMP Vice President). The AIMP and the IMPF are committed to highlighting and addressing the unique needs and challenges of independent music publishers worldwide. Especially in the ever-expanding world of digital music and streaming, it is of great importance to ensure that indie publishers and the thousands of songwriters worldwide that they represent are paid fair rates for the use of their music and are treated with parity with their major multinational colleagues. 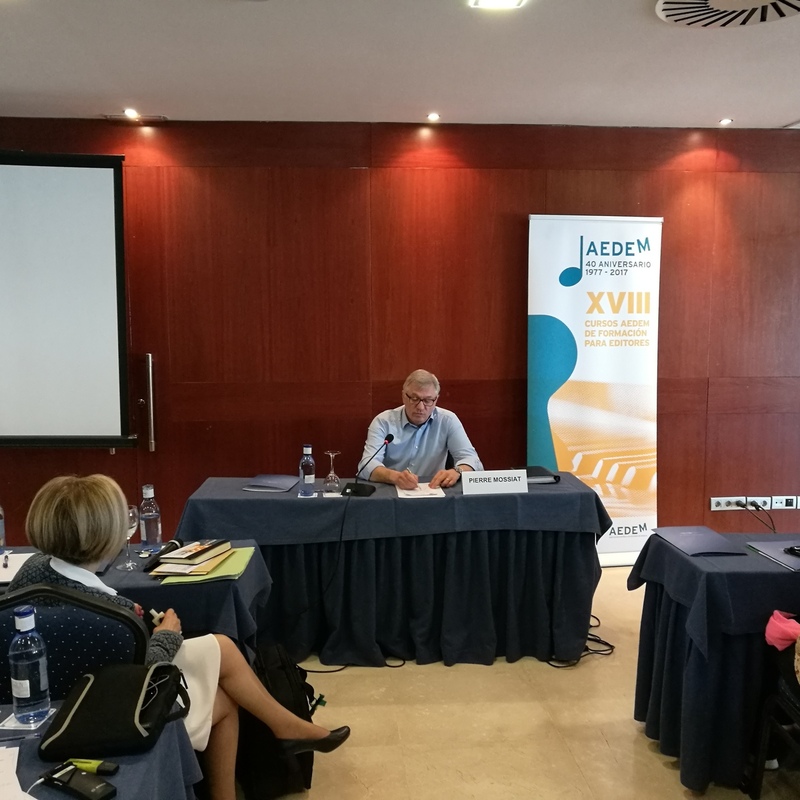 The AEDEM annual meetings held north of Barcelona from 8-10 May, where Pierre Mossiat was the keynote speaker, and Ger Hatton was a panellist speaking on international and EU copyright legislation. 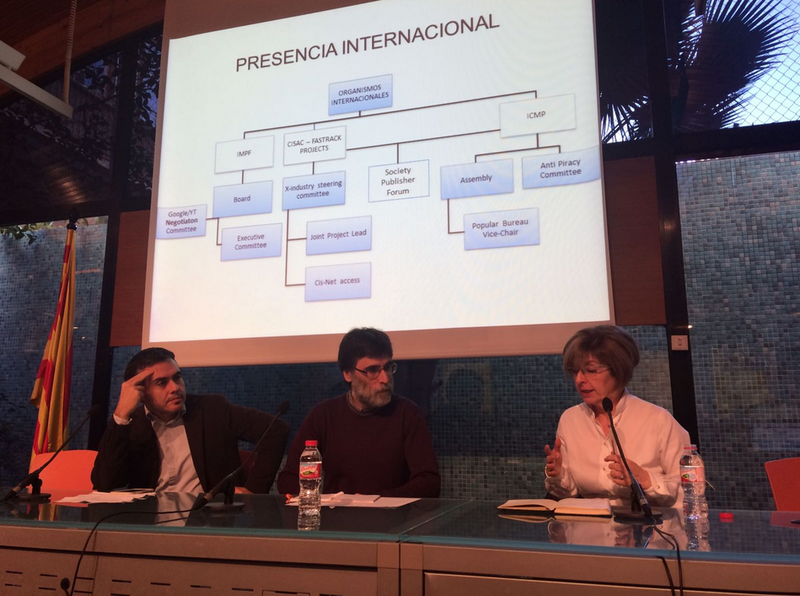 Teresa Alfonso, Board Member of IMPF was reelected as Chair of the Board of Directors of AEDEM. 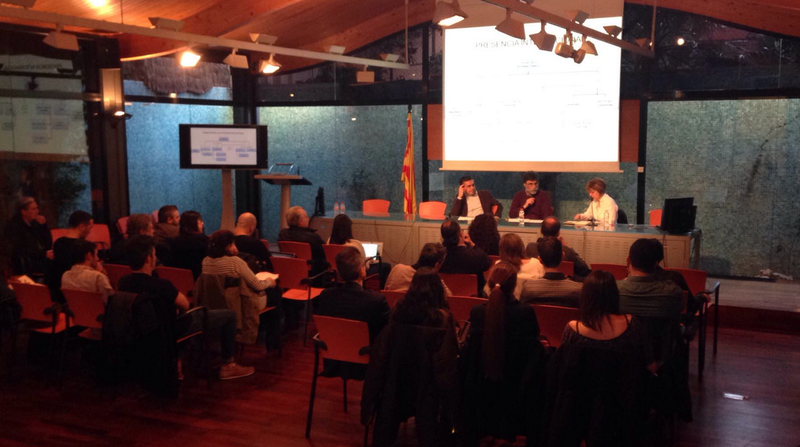 The Catalan Government’s SDE division - business development services - and the record industry association APECAT/AFYVE, organise a monthly Breakfast Label Lab in Barcelona, Spain. Pictured above is IMPF Board Member Teresa Alfonso speaking on the work of independent music publishers, particularly IMPF’s outreach on digital, FastTrack projects and the role publishers are playing on an international level. In the photo are APECAT President Oriol Orfila and journalist Javier Cervantes. Following the session Alfonso received a lot of interest on the matters raised. 2016 was an eventful year as the music publishing industry faced uncertainty with, at times, adverse copyright developments and decisions emanating not only from EU countries and the US, but around the world. 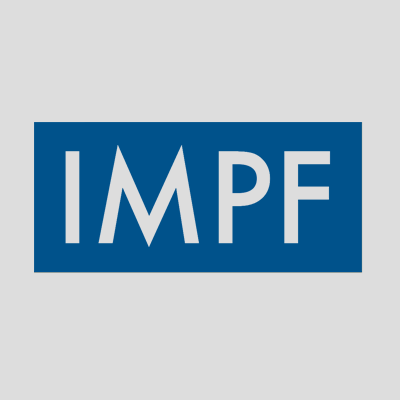 IMPF consolidated its remit and work in 2016 and Board has worked throughout the year to support and uphold the independent music publishing community and promote the interests of the sector. It has engaged with key stakeholders at international and regional level, including dialogue with media and policymakers, and has consolidated its position through a range of initiatives, including events, speaker platforms, position papers, media relations, meetings and partnerships. There has been consistent work on addressing music publishing issues and the challenge posed by digital platforms that ‘underpay’ and the rapid online consumption of creative content. On that note one spark of hope has seen EU legislators finally addressing the issue of this imbalance of payments and the notion of the “value gap” as introduced by music industry advocacy in Brussels is echoing around the world. While 2016 was challenging, and 2017 is likely to remain so, there are nevertheless reasons for optimism and opportunities abound. At the General Assembly held in London delegates were asked to list their top three priority areas for IMPF in 2016. This exercise which was subsequently sent out to the wider membership saw some 50 responses in total with 150 +/- suggestions for work, which were consolidated into four key areas and a work schedule of some 30 separate items. The Board and Secretariat have been engaging on those ever since along with additional items arising. This report addresses the work achieved and underway. 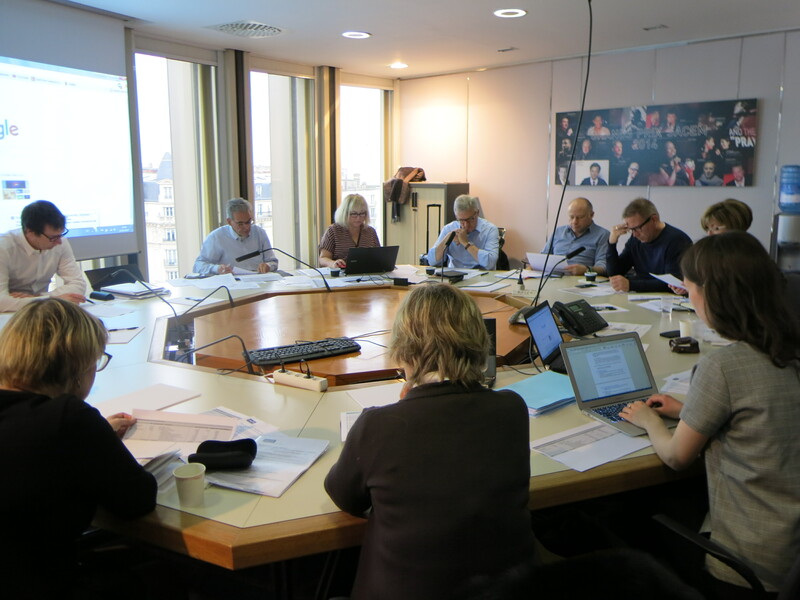 February 23 Paris – Yesterday at SACEM in Paris, the Independent Music Publishers Forum (IMPF) held a General Assembly in front of some 80 indie music publishing companies and guests representing international writers organisations, publishers and CMOs from Europe and the US. 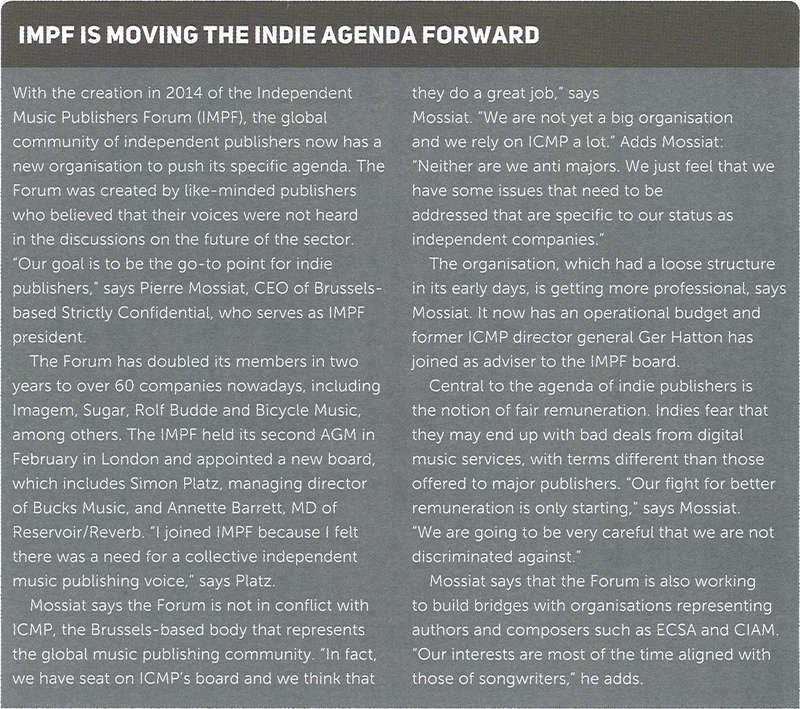 In his opening address, President of IMPF Pierre Mossiat, and CEO of Strictly Confidential Music Publishing, commented on how, despite the changes brought about by digital, the fundamentals of the indie music publishing business haven't changed, as they are based on the close, one to one engagement with authors and composers. Echoing that sentiment, Lorenzo Ferrero attending in his capacity as President of CIAM said "Publishers have always been the natural partners of music creators. But the relationship between CIAM and IMPF is more than that: it’s a frank, concrete and constructive cooperation on common global issues". CEO of SACEM Jean-Noël Tronc, in a wide-ranging address including the current copyright reform on both sides of the Atlantic, emphasised the importance of the continuing need for unity amongst the broader music community in light of those who want to undermine the vibrant industry, and also stressed his personal support for the vital voice of the indie sector. Spotify’s European Director of Songwriter and Publisher Relations, Jules Parker, gave an impressive presentation on the work that Spotify is doing with songwriters in liaison with publishers, offering training and showcasing creators and artists through talent hubs and workshops. Rolf Budde, (IMPF vice chair and Chair DMV Germany, (Budde Music)), addressed the mammoth task publishers and GEMA undertook recently to change the law in the aftermath of the November ruling in Germany, a topic of great interest to the publishers and writers present, given the action it necessitates but the disaster it avoided. Teresa Alfonso (Teddysound), Filippo Sugar (Sugar Music), Simon Platz (Bucks Music), Angela Rose White (David Rose Publishing) and Ger Hatton also presented on various topical EU and US issues. In closing, Mossiat stressed IMPF’s commitment to working closely with organisations that represent collective management and writers and reminded everyone that IMPF was established as a forum for indie music publishers to engage and dialogue at just such an international level. He added, "with policy makers on both sides of the Atlantic making decisions that significantly impact our business, we must remain proactive and forceful in our collective efforts to ensure that the decisions they make today don't adversely affect our business tomorrow”. 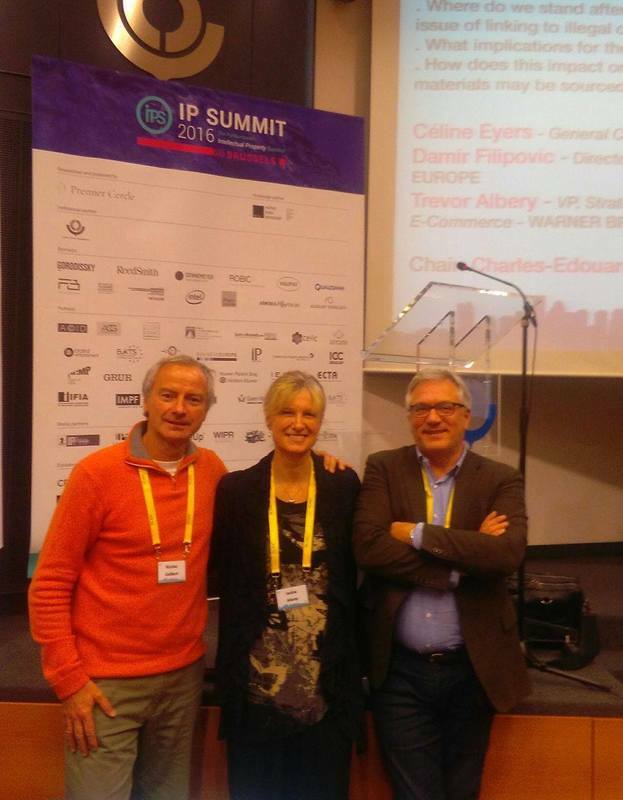 Pierre Mossiat, President of IMPF, pictured with Jackie Alway from Universal Music Publishing and Nicolas Galibert from Sony/ATV after speaking on a panel on the growing importance of online services and restoring the "value gap" at the 2016 IP Summit in Brussels. Indie music publishers everywhere are shocked by the Berlin court ruling of Monday that GEMA can no longer distribute a share of authors’ royalties to its music publishers. Furthermore the court ruled that publishers should return payments made since 2010. “This would result in the devastation of the German music industry, and yet another example of attempts to legislate and regulate our industry that end up annihilating the long standing work of the music publishing community” said VP of the IMPF, the Independent Music Publishers Forum, Prof. Dr. Rolf Budde. “The implications of this latest ruling are far ranging and shocking. The system of partnership between authors and publishers in GEMA is a constant for decades in Germany and therefore this decision is both wrong and damaging”he added. “The underlying principle is the agreement of authors and publishers that both parties should benefit from income arising from the rights, and as this is a legitimate contractual arrangement between two parties, the interpretation of the courts is simply wrong. What’s more GEMA does not involve its music publishers on a flat-rate basis, but only if authors and publishers have agreed to such a participation in the publishing contract.” said IMPF. “Indie publishers are calling for an immediate solution to address this grave problem and we demand that GEMA meanwhile pays the royalties owed to the international repertoires. Once we see the grounds for judgment, which are not yet available, we will decide our next course of action, but support for our German music publisher and GEMA colleagues is imperative”, said Pierre Mossiat, President of the IMPF. The starting point for the decision was the action of two authors and GEMA members Bruno Kramm and Stefan Ackermann. The applicants had argued that, in addition to the authors share, they also had the right to the publishers share, since the rights of use were introduced into GEMA by the authors alone. According to the oral submissions of the Kammergericht in Berlin, the decision is based in particular on the fact that the existing publishing agreements do not reveal any clear statement on the involvement of the publisher. Key industry figures took part in the panel debate including Matt Pincus of Songs Music Publishing; Michael Sukin of Sukin Law Group/Cowan, Liebowitz & Latman; Alisa Coleman of ABKCO Music and Records; Jacqueline Charlesworth, well-known copyright attorney and co- counsel in the SONA litigation; Robert Levine, journalist and author of Free Ride; Margaret McGuffin of the Canadian Music Publishers Association and Ger Hatton, Adviser to the Board of IMPF. “The issues currently on the table in both the US and Europe have a direct impact on the work of independents,” asserted Rolf Budde, Vice President of IMPF “these types of debate provide a vital platform for the sector in seeing the way forward. I am encouraged that our industry is able to hold such a broad and timely meeting”. Brussels, 14 September 2016; The Independent Music Publishers Forum (IMPF) representing indie music publishers worldwide, expressed disappointment with the EU Copyright Package launched today. While acknowledging that there is a new onus on Internet Service Providers in the Directive, nevertheless IMPF said that the obligations of online platforms fall far below the standard required to ensure effective remuneration and protection for composers and authors. While timely information and transparency obligations are welcomed, along with the exceptions for scientific research, teaching and cultural heritage, IMPF believes stronger and more concrete provisions are needed to address the Transfer of Value issue as the obligation on ISPs is weak. “Transfer of value or the Value Gap is about achieving a decent earning for creators from large platforms, such as YouTube, that benefit financially and disproportionately from the creative work of artists. Failing to address this adequately, endangers the livelihoods of creators and at the same time, compromises the freedom of consumers, as they need to have broad access to legal and diverse cultural content”, added Mossiat. “The bottom line is that authors and composers must be compensated for their work. This much anticipated Copyright Package, while a step in the right direction, has quite some way to go to achieve the level of compensation for the use of their work that songwriters and indie music publishers, the core small businesses in the creative music field in Europe, need”, he concluded. 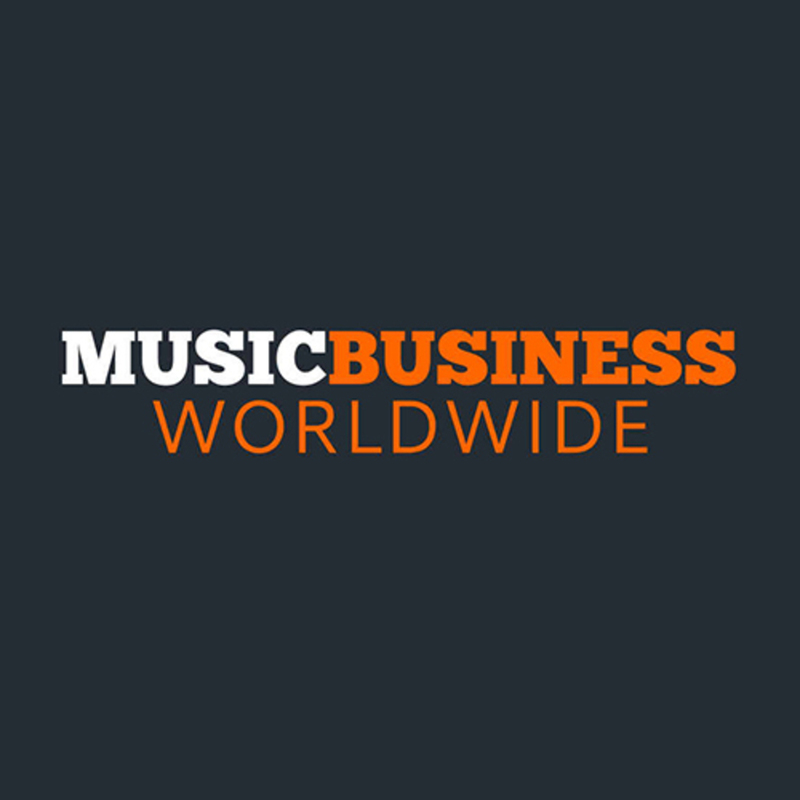 “This decision will result in confusion and chaos for everyone, from music publishers, to collective rights managements organisations around the world, and licensees and sadly and ultimately for songwriters, who will suffer the most, as this new system will lead to unfair prices that do not reflect the real value of their musical works” said Pierre Mossiat, President of the IMPF Board of Directors. “In short nothing has been fixed but everything has been further broken” he added. IMPF also noted that the decision has implications for the way the U.S. does business abroad as it ignores international trade protocols, and may in fact be unlawful under WTO rules, as, applying this rule to copyrights originating in countries other than the U.S., when the rule is not recognised in those other countries, has profound ramifications. IMPF will lend full support to ASCAP and BMI in the U.S. and to local and international music publishers as they figure out ways to address their options in a situation that was entirely avoidable, and until now has ever been an issue. Cannes, 5 June 2016 – At its board meeting today, the Independent Music Publishers Forum (IMPF) called on YouTube to change its business model so that royalty payments to composers can increase. 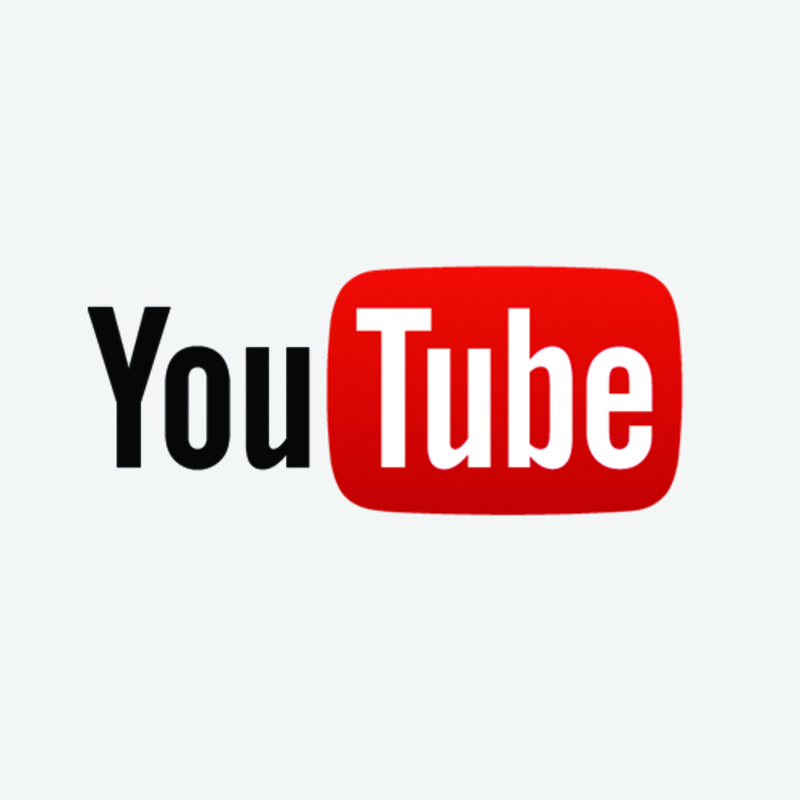 YouTube’s meagre royalty payments were the main agenda point at the meeting of Indie music publishers at Midem. There was much discussion around the safe harbour provisions which shield YouTube from liability and delegates called on regulators to clarify the terms of the provisions both in the EU and the USA, not just to alleviate the value gap, which has grown wider, but also to level the playing field with other platforms. “Licensed digital music services can't make enough money to pay composers and authors if they have to compete with services that are shielded by out-of-date safe-harbour protections,” said IMPF President Pierre Mossiat. Another grievance, particularly for small indie music publishers is the complexity and opacity of contracts with YouTube. As Rolf Budde, VP of IMPF said “transparency is key to conducting commercial negotiations on behalf of our composers and authors and with the current agreement mechanisms that You Tube has in place, that is increasingly difficult”. IMPF said that it fully recognises the importance of the platform for composers and authors and wants to work together with YouTube to find effective solutions. 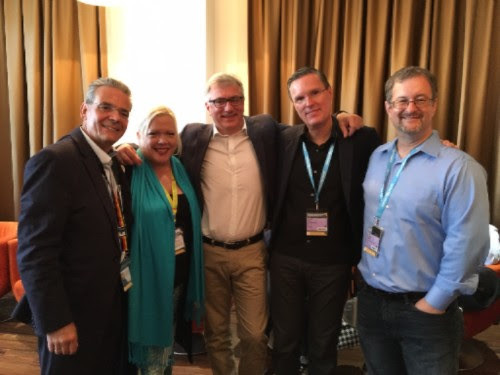 IMPF also held its first Independent Music Publishers Breakfast at Midem today. The event hosted together with AIMP attracted more than 90 industry figures and included guests from collective management organisations, labels and other music trade bodies. The keynote speech was given by the Chair of the International Confederation of Societies of Authors and Composers (CISAC), Eric Baptiste. 'A group of powerful independent publishers have vowed to collectively ensure that their market does not suffer from a damaging concentration of power in the coming years. The Independent Music Publishers Forum (IMPF) was officially founded at Midem two years ago, and now counts more than 50 rights-holders as members. They include Bucks Music Group, Reservoir/Reverb Music, Sugarmusic, Budde Music, SONGS Music Publishing, Wixen Music Publishing, ABKCO, Bicycle Music Company and Downtown Music Publishing. 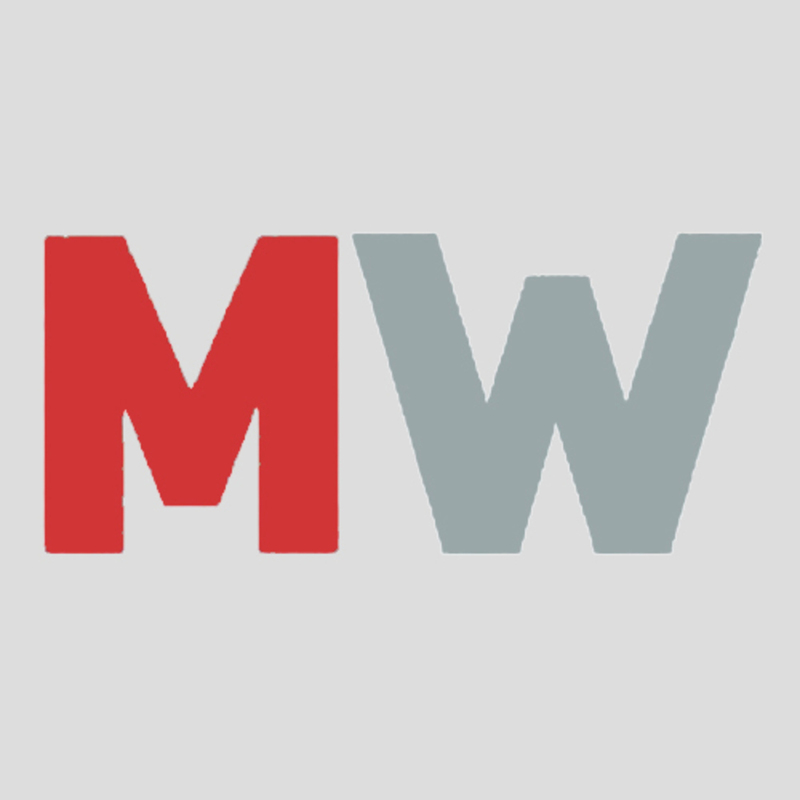 Pierre Mossiat, CEO at Strictly Confidential and another founder member, Annette Barrett of Reservoir/Reverb tell MBW that IMPF was partly created to ensure the independents had a voice on the board of the ICMP – the global trade body representing music publishers’ interests. Says Mossiat: “We realised that the reaction to our creation may be: ‘Another trade association? !’ But we had the feeling that a few questions were not being answered for us [at ICMP]. With the creation in 2014 of the Independent Music Publishers Forum (IMPF), the global community of independent publishers now has a new organisation to push its specific agenda. The Forum was created by like-minded publishers who believed that their voices were not heard in the discussions on the future of the sector. “Our goal is to be the go-to point for indie publishers”, says Pierre Mossiat, CEO of Brussels-based Strictly Confidential, who serves as IMPF President. The Forum has doubled its members in two years to over 60 companies nowadays, incuding Imagem, Suga, Rolf Budde and Bicycle Music, among others. The IMPF held its second AGM in Febrauary in London and appointed a new board, which includes Simon Platz, managing director of Bucks Music, and Annette Barrett, MD of Reservoir/Reverd. “I joined IMPF because I felt there was a need for a collective independent music publishing voice”, says Platz.